All in one Beauty Oil for Face, Hair & Body. This nourishing formula will help Repair, Protect and Soothe, all while Illuminating your skin and hair. Blended with rich fatty acids, vitamins and minerals to protect against free radicals. Prevents cellular aging by inhibiting key stress signals. 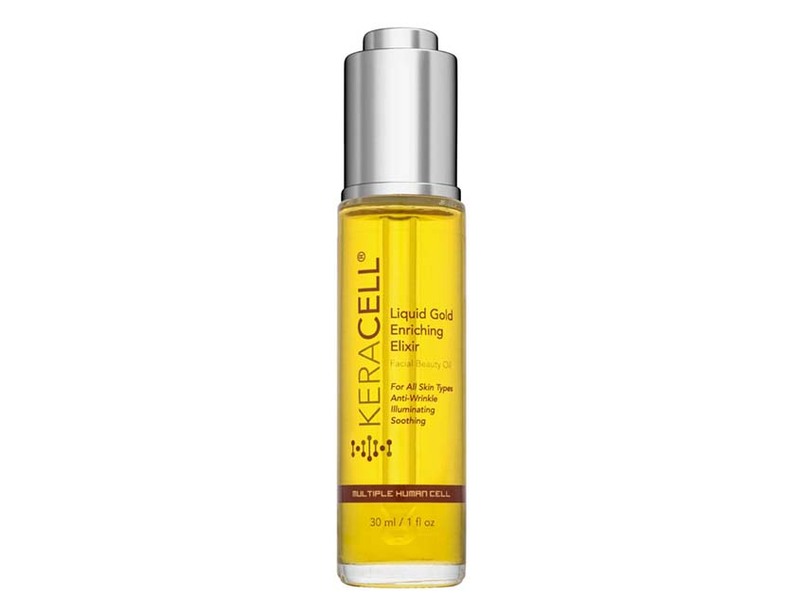 This hydrating oil will keep skin plump by suppressing transepidermal water loss. Simmondsia Chinensis (Jojoba) Seed Oil, Isononyl Isonanonate, Butyrospermum Parkii (Shea) Oil, Squalane, Limnanthes Alba (Meadowfoam) Seed Oil, Raphanus Sativus (Radish) Seed Extract, Almond/Borage/Linseed/Olive Acids/Glycerides, Coconut Alkanes, Coco- Caprylate/Caprate, Plumeria Alba Fruit Extract, Isopropyl Palmitate, Acetyl Hexapeptide-1, Tetrahexyldecyl Ascorbate, Bidens Pilosa Extract, Elaeis Guineensis (Palm) Oil, Gossypium Herbaceum (Cotton) Seed Oil, Linum Usitatissimum (Linseed) Seed, Ribes Nigurm (Black Currant) Seed Oil, Paeonia Suffruticosa Root Extract, Rosmarinus Officinalis (Rosemary) Leaf Extract, Solidago Virgaurea (Goldenrod) Extract, Echium Plantagineum Seed Oil, Cnidium Monnieri Fruit Extract, Swertia Chirata Extract, Coelastrella Vacuolata Oil, Watanabea Reniformis Oil, Tocopherol, Tocopheryl Acetate, Hippophae Rhamnoides (Sea Buckthorn) Seed Oil, Helianthus Annuus (Sunflower) Seed Oil, Oenothera Biennis (Evening Primrose) Oil, Ubiquinone, Vaccinium Myrtillus Seed Oil, Ananas Sativus (Pineapple) Fruit Extract, Argania Spinosa Kernel Oil, Sclerocarya birrea Seed Oil, Rubus Chamaemorus (Cloudberry) Seed Oil, Daucus Carota Sativa (Carrot) Seed Oil, Adansonia Digitata (Baobab) Seed Oil, Salvia Hispanica (Chia) Seed Oil, Euterpe Oleracea (Acai) Oil, Vaccinium Angustifolium (Blueberry) Seed Oil, Helianthus Annuus (Sunflower) Seed Oil, Vaccinium Macrocarpon (Cranberry) Fruit Extract, Carica Papaya (Papaya) Seed Oil, Garcinia Mangostana (Mangosteen) Oil, Punica Granatum (Pomegranate) Seed Oil, Cannabis Sativa (Hemp) Seed Oil, Persea Gratissima (Avocado) Oil, Octyldodecanol, Ocyldodecyl Oleate, Octyldodecyl Stearoyl Stearate, Lecithin, Water, Alcohol. Lightly massage 2-3 drops of oil on entire face and neck. Allow to absorb into skin and then follow with your normal skin care and beauty routine. Use morning and evening for best results. Also, add a few drops to serums, lotions and creams for enhanced moisturization.